1. What infection control measures need to be taken when interacting with this child and taking the child’s vital signs? The toddler has a fever and an unknown rash, therefore needs to be isolated in a private room, and the healthcare provider must wear a surgical mask, gown, and gloves (contact and droplet precautions). The toddler requires vital signs equipment for use with that client only. 2. What developmental considerations need to be considered when taking this child’s vital signs? An apical pulse is taken for a full minute due to the client’s age. An axillary temperature is taken because it is minimally invasive. A rectal temperature may be performed to check for accuracy considering that the client is febrile. The SpO2 saturation is taken via ear sensor or a taped finger sensor because the pulse oximeter clip is too large for a young child’s finger. 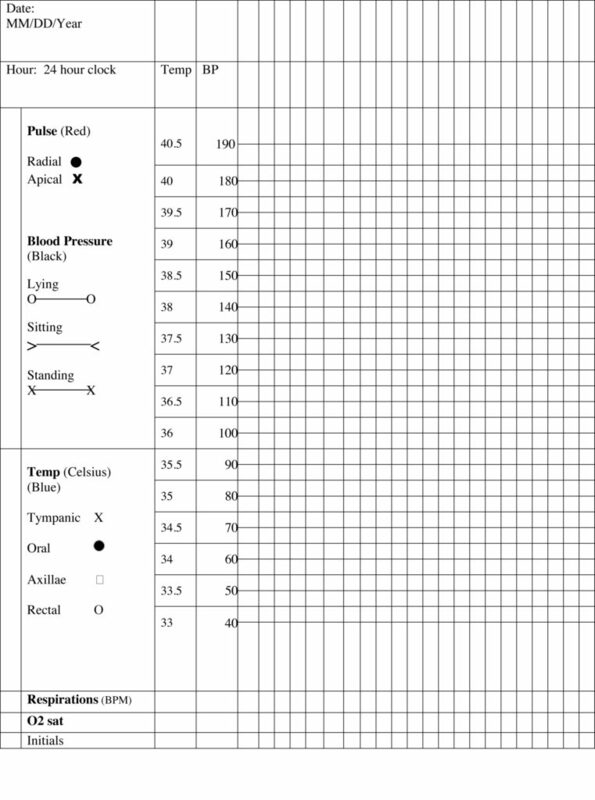 Print the blank vital sign record and document the findings noted above. Then, go to the next page to see the findings properly documented on the vital sign record.